The 90s trend of chambray shirts still seems to be going strong. So, in anticipation of spring, I thought I would style a couple options around this legendary denim shirt - one more dressy (above) and another more casual weekend style (below). Enjoy! 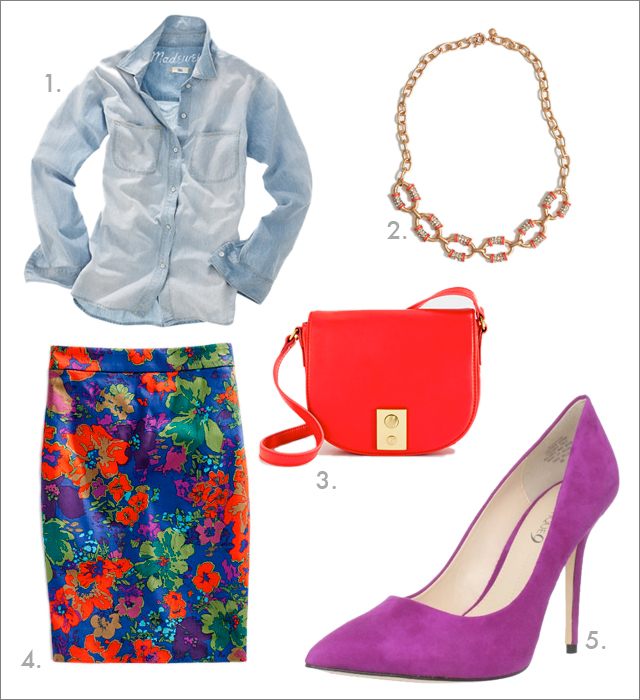 Note: If you would like to see this chambray shirt in real life, I think Anh from 9to5chic.com is wearing it here. Hi Lisa, just curious- have you ever purchased anything from Madewell? They are so pricey and I can't figure out why? Their brand is very popular with the bloggers out there, that's for sure. Thank you! Hi Lisa, Since Madewell is a division of J. Crew, I think that might be why it is a little pricey. I like to shop J. 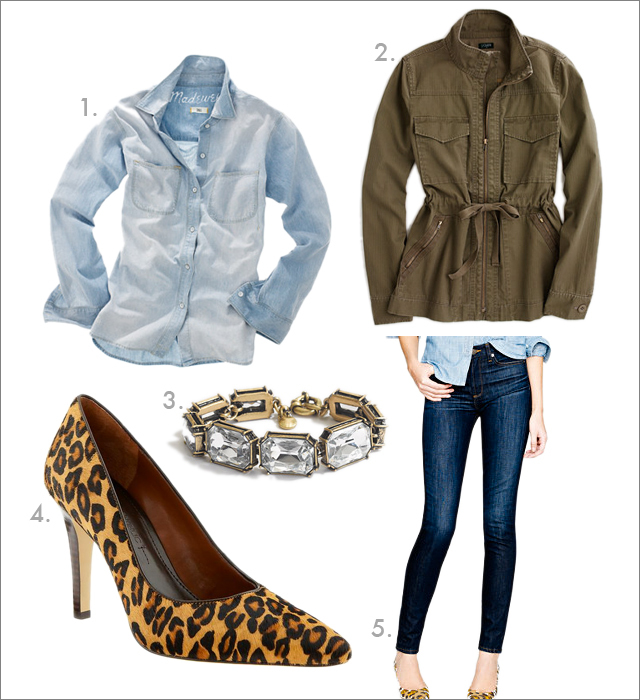 Crew but have not bought anything from Madewell yet - considering this chambray shirt. I still associate Madewell with the brown crochet sweater that Katie Holmes wore with the red pants on the Jay Leno show (http://news.instyle.com/2011/08/03/katie-holmes-jay-leno-sweater/). If you buy something from there, let me know. I would love to know what you think. Thanks! Discovering your blog, I feel like I have my very own stylist! Fabulous. I struggle to get out of my workout clothes and actually dress myself. This blog will be my daily inspiration board! Looking forward to meeting you next Thursday with Erin. Thanks, Cortne! I love playing stylist on this blog! I am always willing to help with style dilemmas. Looking forward to meeting you next week.